At Mastrototaro's home the genuine taste of Puglia is protected in olive oil. The nature triumphs, in the jars, where the taste is blended to the best quality vegetables. is fundamental in order to ensure/guarantee the excellence of production. “from the producer to the consumer”, motto by now rarer and rarer in the actual market, here it isn't a false slogan but a seriously followed cardinal principle of the company’s philosophy. 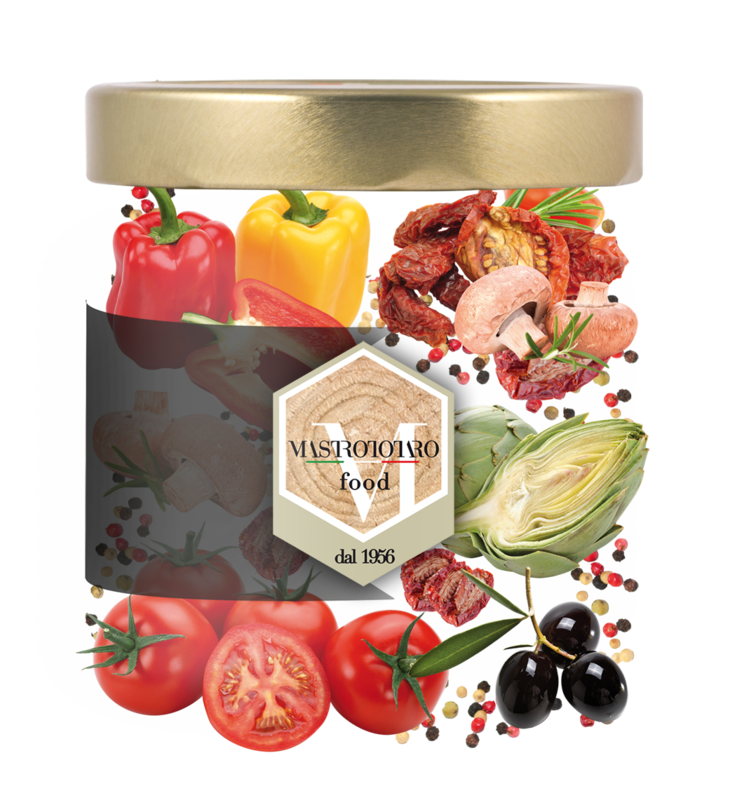 Behind the Mastrototaro Food's delicious and genuine products, much appreciated on the national and international market, there is a family. Authentic people, with a tradition of diligence, sacrifice, cohesion, passion and love for their work. Qualities passed on from generation to generation, as the father Giacomo and the mother Grazia have done, who, since 1956, in addition to producing wooden packaging crates for fruits and vegetables, have managed the company, and passed it on to their sons Mauro, Giulio and Roberto, presently engaged in “Mastrototaro Wood”. Those sunny lands kissed by the sun, where the air is pure and one can breath the smell of a century-old tradition where we cultivate and pick our product, with care and love, sacrifice and diligence, competence and dedication.